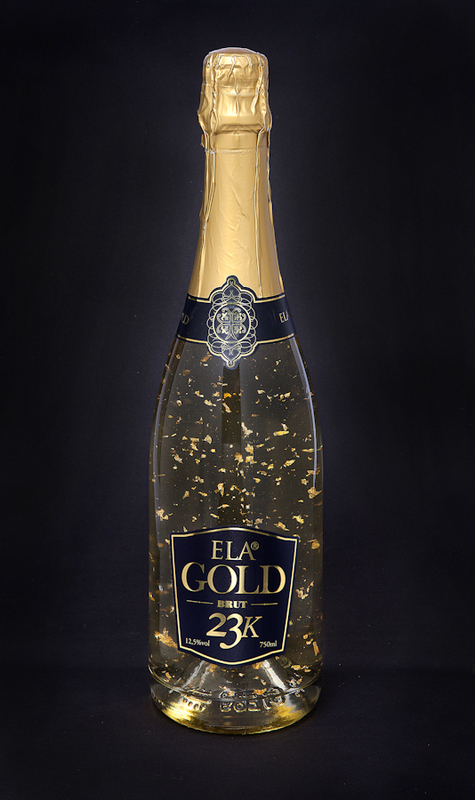 A sparkling elixir with extra large 23 karat pure gold flakes. 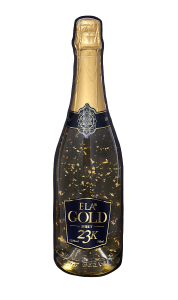 The black label is the new luxury edition of the classic Ela Gold 23K with more and bigger 23 karat edible gold flakes. Produced on the island of Rhodes according to the traditional French method, its character derives from the long period of maturation and the second fermentation in the bottle from Chardonnay and Athiri grape varieties. Enjoy the rich delicate bubbles with the fine aromas of honey, baked bread and almond.